I really love the lighting in these shots. It was one of those sunny but not too sunny days which are perfect for shooting outfits. Although shooting in the middle of the road is SO awkward! I felt like a kid having to run in and out of the cars to the pavement every few minutes! As I've said before the Original American Apparel Disco pants are the one. I literally cannot express how good they are. Dupes are alright (I've talked about them here, here and here) but the originals are really the best. Super slimming, form fitting and so flattering on curvy figures.The only huge niggle is that they are ridiculously expensive. However they are on ASOS at the moment for about 20% off which is a huge bargain. It's also worth keeping a eye out for American Apparel 30% off sales which they have every now and again. This is one of my favorite outfits from you, Lily! I love how simple and classic it is, and the pop of yellow is so fun. Love the pop of yellow ! gorgeous! And I've been wanting forever to get those American Apparel pants, I just can't justify the price. 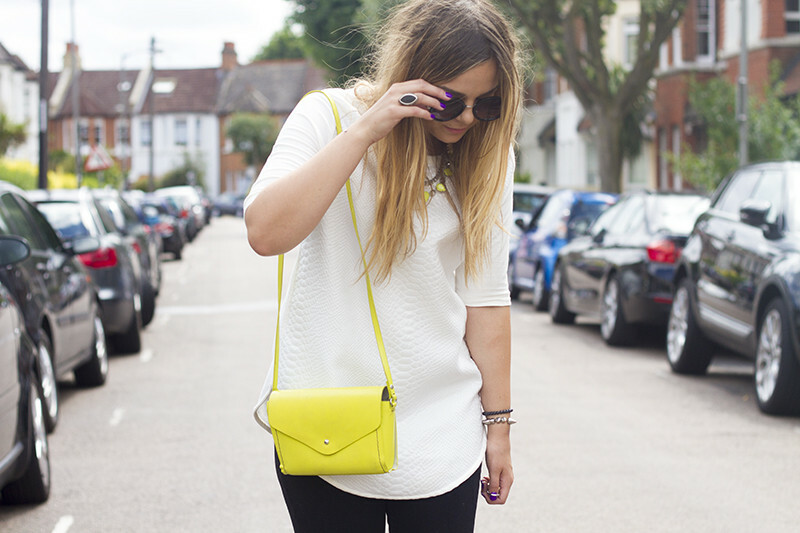 Omg, love your yellow bag! I love classic black and white with pops of colour. I love that yellow bag! I had recently purchased a pair of the AA disco pants for someone, and heard their most absolute love for them. I still think they are heavily priced even with the discount! But I'm Oh so tempted to own a pair too! Love the Zara top! Cute bag! What's the name of the nail polish? Works well against the yellow bag. I love the shoes and the bag, beautiful! loving the new photo style, they look fab. Love the simplicity of this outfit Lily! This is one of my favorite looks. The pop of yellow is so lovely, and a really nice texture on the top. Simple yet beautiful. I'm always telling my friends that the Disco pants are the best! They really do look good on anyone. I'm loving the top Lily - need to keep an eye out for it! 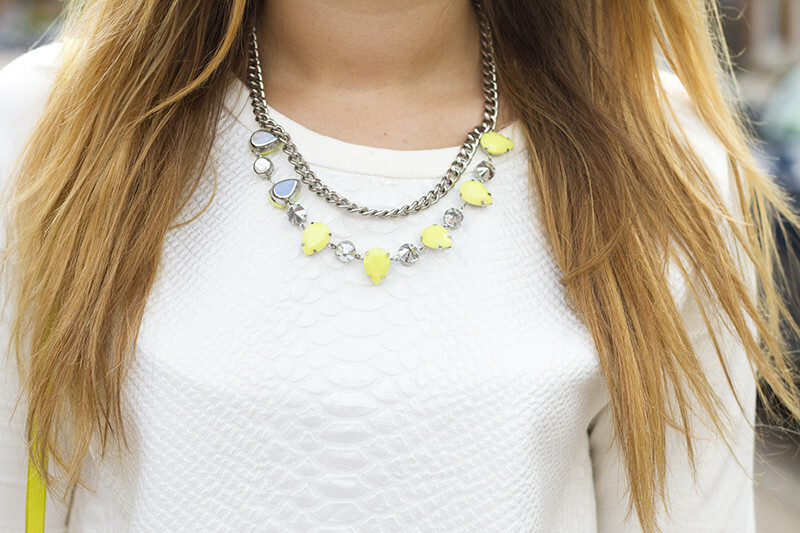 White and yellow go so well together, especially with it being neon, really stands out. Loving your new piercings too! Oh wow Lily! You look amazing. Gorgeous outfit. I love my disco pants, was a little unsure at first about them, with the price but they're totally worth it and I wear them loads. I also got them when there was 20% off which pretty much sealed it for me! Ah Lily you look incredible, i adore everything about this look, and even more so the whole thing together on you! So classic, you have such flawless style. I hardly ever comment, but I absolutely adore this outfit. So simple, but so eyecatching. I'ma getting me these pieces tomorrow on payday. so pretty! i love minimalistic outfits with lot of attention to detail! super gorgeous! this is so cute! love the top and i want these shoes so bad! Love this look, the pop of neon is fab! I love the contrast of your nails and bag! Like white, black might be an evergreen colour on prom dresses. Mysterious attractiveness embodied by this colour will likely be irreplaceable. When modern design and style guidelines are adopted on them, these black prom robes do delight folks by new allure. Similar to this a single, the black quick prom dress appears basic, but extremely beautiful. Clean strains around the black fabric preferably flatter the wearer's physique form. Layered sample about the hem tends to make the understated dress develop into a lot more sophisticated instantaneously. However they actually fantastic toner around the dress really should be the black sash having an exquisitely steel buckle. Certainly, brilliance on this accent lights up the deluxe feeling around the complete robe! For anyone who is trying to find prom dresses, we suggest you unearth the correct online merchants which have currently generally the best option in addition to most well-known choice. Dress Goddess is definitely an efficient internet site that will marketplace major tends to make as an illustration Mini-Length Natural Waist Low Back One Shoulder Long Sleeve Satin Little Black Dress. Whatever your capability to spend May well be, you will learn a superb prom dress by themselves with created from you favor, the form that matches and magnificence you love. 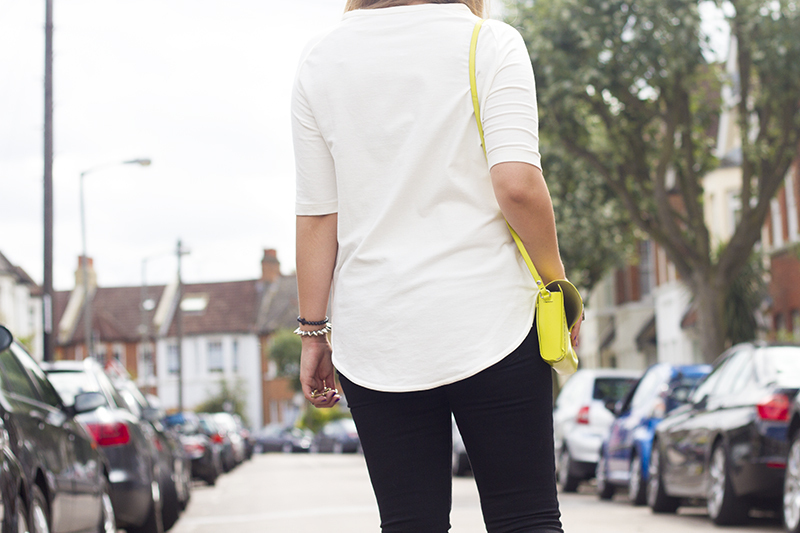 I love simple white tops with jeans, the added pop of colour with the bag works really well! 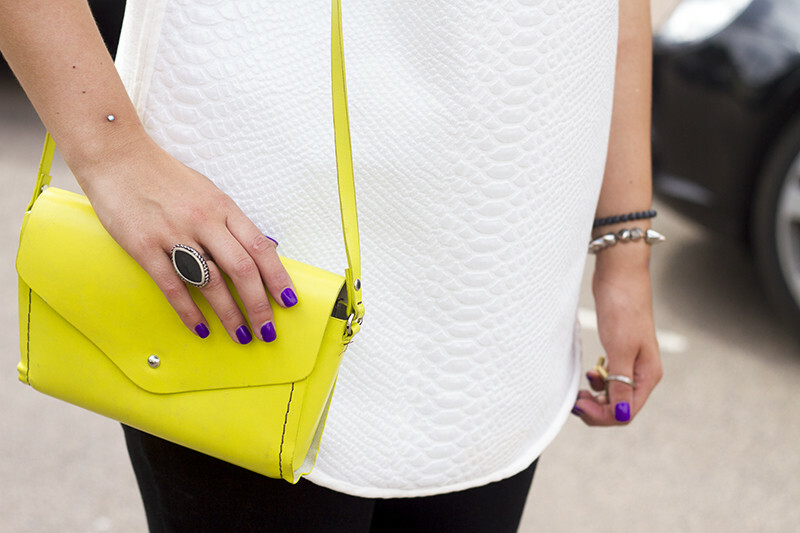 love this outfit and the pop of color from the bag. awesome! love love love the shoes! you outfit looks amazing! OMG, that bag! It makes the outfit and looks great. When buying for good as well as dimension mom from the Red Bridesmaid Dresses, it's important to verify dimensions meticulously, as they will vary from one particular label to yet another. Most present sizing charts, exactly where you may examine your person measurements for the measurements provided by the specific producer. This really is especially crucial in case you pick to store with a web based retailer, or when buying customized dresses. It's also sensible to become conscious of the retailer's plan on returns, just in situation your robe does not match too as you'd like. I love Zipper Ruched Square A-Line Natural Waist Bridesmaid Dress. Bagaiman Cara Menghilangkan Kutil Pada Kemaluan Wanita?